A team of lifeguards from the Australian Lifeguard Service (ALS) recently got a first-hand look at the intense training professional helicopter crews put themselves through in order to save lives on the state’s beaches. 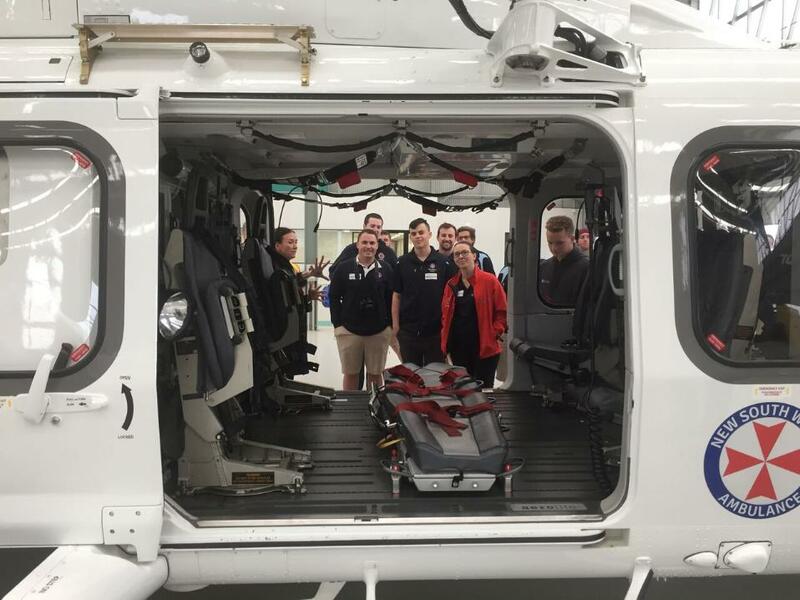 Last week, 12 ALS lifeguard supervisors from across NSW visited the Aeromedical Crewing Excellence (ACE) facility at Bankstown Airport along with Duty Operations Officers from Surf Life Saving NSW. The unique and often complex nature of rescue operations along our coastline means that frontline assets including lifeguards and lifesavers need to interact with helicopter crews regularly. Duty Operations Officers from the SLSNSW State Operations Centre are also increasingly involved in coordinating rescue assets including helicopters during incidents. Creating strong relationships between emergency services is a top priority for the ALS and Surf Life Saving, ahead of the peak summer season when millions of visitors head to the coast. “It was a great opportunity for us to see the different types of training that both the flight and medical crews have to go through in order to reach such high standards,” said ALS Northern Beaches Lifeguard Supervisor Brad Woodward. The ACE Training Centre is a world class aviation and aeromedical training facility operated by Air Ambulance contractor, Toll for Southern NSW. Using high fidelity simulation and virtual reality training devices, the facility offers emergency services personnel the chance to experience what it’s really like to be stranded at sea in storm conditions or winched into a chopper during rescue operations. The team was put through its paces, testing survival skills like setting up life-rafts in a realistic rescue scenario. 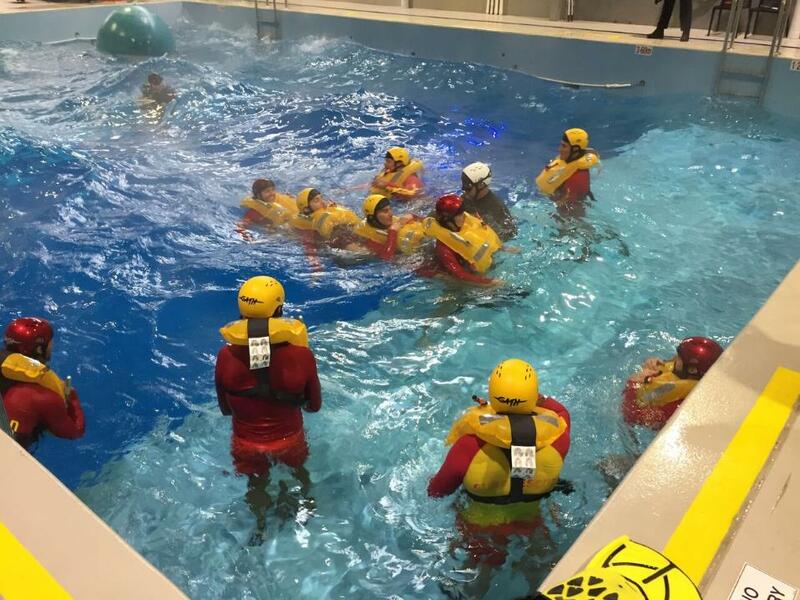 In the pool, winds of up to 30 knots and a swell of up to a metre can be simulated, but it’s the senses which are really tested in the challenging conditions. Brad Woodward described the familiarisation visit as an important part of emergency training for the lifeguards. “It was a lot of fun to get in the pool and do something different from our regular work on the beach. I think the visit reminded us all of the importance of strengthening relationships with other emergency services. “When we are out there saving lives everyone needs to work together and training sessions such as these go a long way to helping us understand what everyone’s roles are in an emergency situation. It will help us all continue to deliver a professional lifesaving service to the people of NSW,” he said.